Throughout various lab processes, large amounts of properties have to be stored and transferred. We supply different kinds of products for this. 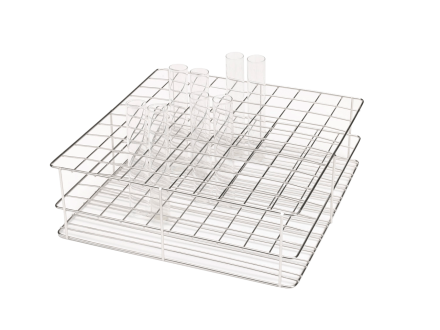 Stainless steel wire racks for transporting and storing flat bottom glass tubes. These wire racks are available in various sizes. All of the racks are made for standard tubes with a diameter of 24-25 mm, but can be customized depending on your needs. EPS trays available for transportation and storage of culture vessels and conical culture tubes. Different types of stainless steel wire baskets for putting items in an autoclave. Stainless steel transport trolleys to transport your wire racks, baskets, trays and glassware in your lab(s). Please contact our sales team for more product and pricing information. 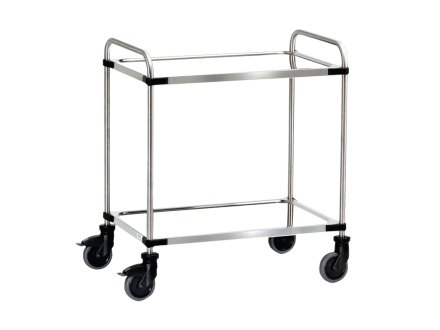 The stainless steel transport trolley is designed for the transportation of racks and trays in laboratories and is available with two or three shelves. 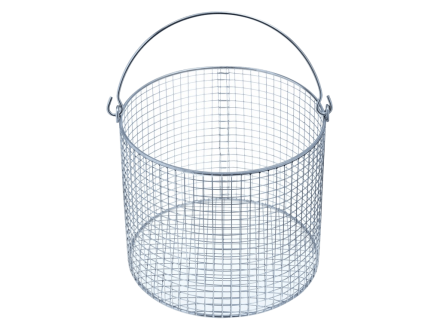 The wire baskets can be used to put glass bottles and vessels in an autoclave. It is made of stainless steel. Our stainless steel wire racks can be used to store and transport flat bottom glass tubes. Various sizes are available such as: 4×3, 8×3, 4×10, 5×8, 4×12, 6×8, 10×10 positions.